This Catholic church was built in 1827 with restoration work carried out in 1926, 1962 and 1990. The tower and spire were added in 1910, financed from a gift given by a local man named P.J Dowling who had emigrated to California. Fr. 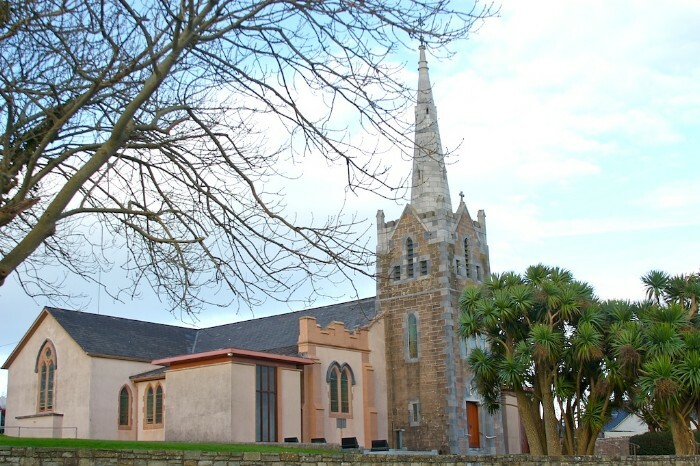 Owen McCarty was the parish priest responsible for the building of the church, and as it was one of the earliest in the general area of Ballyduff, Causeway and Ballyheigue, these were referred to as the United Parishes of Ballyheigue, Killury and Rattoo. An earlier Catholic church stood where up until recently a ruined Protestant church resided in what is referred to as the old graveyard. The original church was destroyed by the forces of Queen Elizabeth.